Summary from Goodreads: The road to power… is paved with blood and magic. This book was so good! And so much fun! 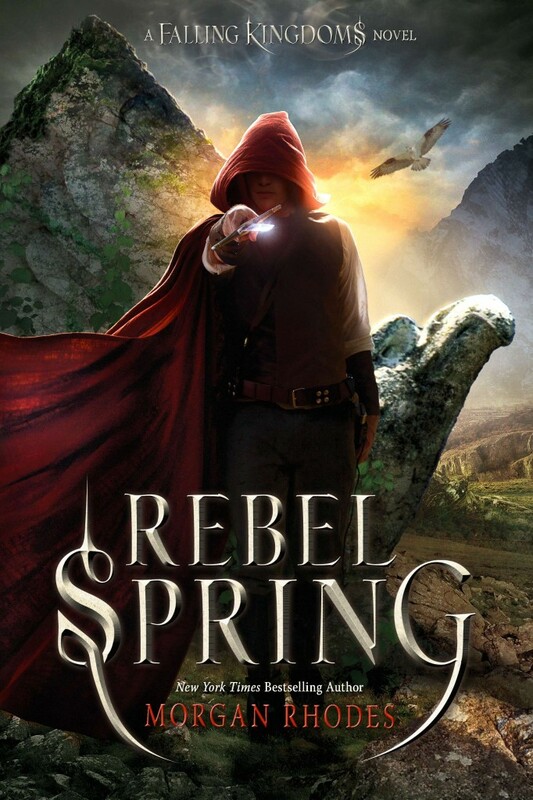 I really enjoyed Falling Kingdoms but Rebel Spring was even better. There were a few small things that I wasn’t a huge fan of in this book, but other than that I really enjoyed it. Also, there will be some spoilers for the first book. So if you haven’t read it yet, go do that! It starts off after the battle in Falling Kingdoms and King Gaius has taken over Mytica. He announces that Cleo and Jonas are going to be married, a surprise to all of them. So, they are consumed with all the planning for the wedding, especially Cleo. Meanwhile, Jonas has his own group of rebels he’s leading with his friend Brion. Lucia is put in some kind of sleep and remains unconscious most of the time after the battle and using her powers to wipe out tons of soldiers which ultimately gave King Gaius Auranos. Magnus really got on my nerves, to be completely honest. Everyone seems to love Magnus, but he just bothers me. I don’t know, it just gets on my nerve how he rarely even sticks up for himself and is always whining about everything. Like one minute he’s upset his sister doesn’t have romantic feelings for him (I mean seriously, even though she’s adopted that would just be weird) and the next it’s because he has to be around Cleo. Quite your whining! Seriously. I really like Cleo though. Unlike Magnus, she at least sticks up for herself and what she believes in. Everyone treats her so poorly because she’s a princess and they think she’s spoiled. Well she’s not. And I love Cleo. She doesn’t deserve to be treated so terribly after everything she’s been through, honestly. I’m just glad we have at least one character who knows how to defend themselves. Cleo’s by far my favorite character, and I felt kinda bad for her that she had to get married to Magnus. A lot of people really ship those two, but I don’t. At least not yet. Cleo’s awesome! Magnus, well, not so much. In my opinion at least. Then we have Lucia. That girl barely gets any page time I feel like. She also comes across as kind of annoying to me, and I hated how she blamed everyone else when she realized she had killed all those people in the battle with her magic. Even in the last book she seemed to show up the least out of any character. I just wish we got to see her more! Most of her chapters were this weird dream thingy. I have mixed feelings on her relationship with Alexius. I just hope Lucia will play a more prominent role and add more to the story in the upcoming books. Jonas doesn’t get much page time either, at least not as much as Cleo and Magnus. I like him, but not as much as in the first book. Half the time I feel like he’s just kind of there for no reason… if that makes any sense. He led his own group of rebels, but it seemed like he made them do most the work while he was off focusing on Cleo. For the first half of the book, his main focus is just on kidnapping Cleo, which was kind of annoying. Then there’s Lysandra. I wouldn’t mind if she got killed off at some point to be honest. She just kind of came in, and made things a lot worse than they needed to be. Like Lucia, it felt like she was just kind of there and didn’t add much to the plot at all. We also get a few chapters from the King too, who I hate more than anything else in this book. Is it bad to say that I wouldn’t mind if he got killed off in the next few books? The chapters from the Watchers also felt kind of unnecessary. I didn’t really understand how that added much to the plot. I could do without them, or their chapters. I feel like the main thing that bothered me most was the occasional new POV added in. Four POVs is enough in my opinion, and now all these new ones are coming out of nowhere. I understand they help the plot progress but still kind of annoyed by all these new POVs we got. The romances in this book just feel so forced. I’m not a huge fan of any of them. Who knows, maybe they’ll get better. At least I hope they do. Everyone’s in love with Cleo though, it seems like. One minute she’s in love with Theon, then Jonas, and then her and Magnus start falling for each other. It just doesn’t feel real. 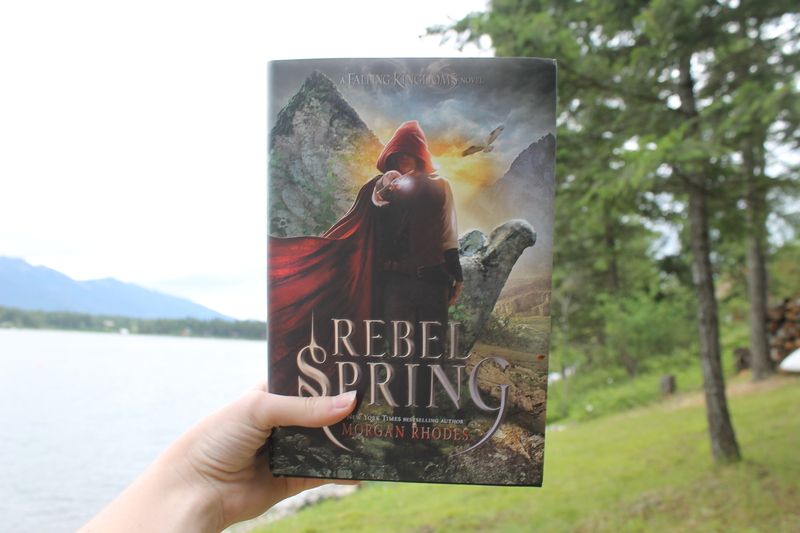 We saw a lot more world-building in this book than in Falling Kingdoms, which I was grateful for. There definitely could be more, but then again this is a six (?) book series so I know we’ll get it. This world actually really interest me. I just wanna know more! The magic is a bit confusing, but like I said, hopefully more explanation in the next books. The plot was interesting and fun! With four main POVs and the occasional others scattered in, there’s no way it can get boring (which it rarely does). The many POVs can get overwhelming, and I wouldn’t mind if it was cut down to like three and Lucia didn’t have one, but four is fine. Even though there were a lot of things and characters that bothered me, I still really enjoyed this book as whole, and the things I love definitely made up for it. Overall, I would have to say 4.5/5 stars!